Reading code books is arguably one of the more arduous and boring parts of the construction process. One reason is that the building codes are legal documents, and so they carry a certain ponderous barrier of legalese which can repel the uninitiated. Another reason is that they are documents of governments, and so they carry another ponderous barrier of legalese which can repel the uninitiated. And so, dear reader, Chicago Window Expert has bravely waded into the Chicago Energy Conservation Code armed only with many cups of coffee to maintain focus, and has extracted points of interest, summarized here, so you won’t have to. Think of this as the “Cliff Notes” of the Chicago Energy Conservation Code. You would never want to build a building using this distilled overview, but at least you can get an idea of what’s in there. Chapter 18-13 of the Chicago Building Code shall be known as the “International Energy Conservation Code of the City of Chicago”. This is also called the “Chicago Energy Code”. The Chicago Energy Code applies to residential and commercial buildings. The Chicago Energy Code is for new construction, or the rehabbed area only of an existing building, or for an existing building which undergoes a change of usage. Landmarks and historic structures are exempt with regard to the exterior envelope. Low-energy buildings (buildings that don’t need heat) are exempted. Article 4 pertains to residential. Article 5 pertains to commercial. Where performance ratings derived from NFRC certification are available, they can be used in energy calculations. When not available, this section provides charts with default values that can be used. The builder or registered design professional must place a certificate of building insulation types, U-values and SHGC values in the electrical distribution panel. Chart showing maximum allowed U value for fenestration .35. Maximum allowed U value for skylights: .60. Provisions for averaging or “area-weighting” the U-values and SHGC’s for various glazed products in the building. Replacement of sash and glazing must meet requirements of code as if it were new construction, however 18-13-101.4.3 states that replacement of glass only is exempted. All building components must be sealed with an air barrier material. Windows, skylights and sliding doors shall have an air infiltration rate of no more than 0.3 cfm/sf when tested per NFRC 400 or AAMA/WDMA/CSA101/I.S.2/A440. Vapor retarder is mandatory, to be placed on the “warm-in-winter” side of the thermal insulation. Mandatory maximum area-weighted U factor is .40 for vertical fenestration and .75 for skylights. Provisions for the use of a simulated energy performance analysis. Metal framed walls inside mass walls (such as concrete) above grade: R-13 insulation plus R-3.8 for the mass wall portion. 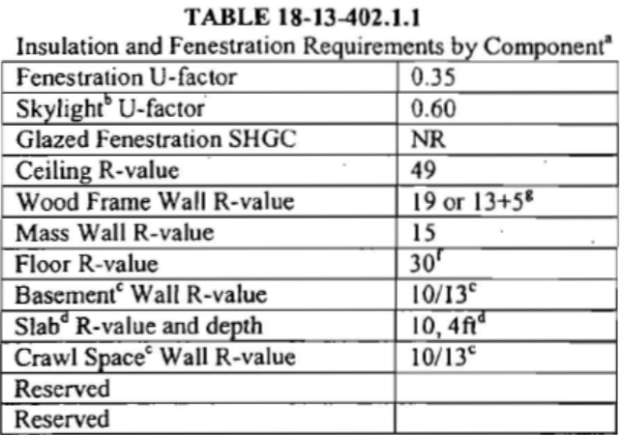 Solar heat gain coefficient (SHGC) for walls where projection factor (see below) is less than 25%: 0.40, no requirement where projection factor is greater than 25%. Air infiltration maximum for curtainwalls and storefront: 0.3 cfm per square foot. Per 18-13-502.4.2 the test pressure is 1.56 psf. B is the vertical distance from bottom of shading element to bottom of glazing. Therefore, if no shading devices or projections exist, the projection factor will be 0, and SHGC will be maximum 0.40. All framed walls, floors and ceilings not ventilated to allow moisture to escape shall be provided with an approved vapor retarder installed on the warm-in-winter side of the insulation. Extensive section on HVAC and electrical requirements. For more on the Chicago Energy Conservation Code, go here. Need a referral to a Registered Energy Professional? Mark Meshulam, Chicago Window Expert, ready to jump... to help you with your building. I teach classes on the Chicago Energy Conservation Code for the ICC, and I have been doing so 3 or 4 times a year for the past 8 years. I have never had participants in the class nod off, as you have indicated in the picture on your website. I also have never seen you or anyone else coming into the classroom to take photos of the participants. Therefore, it would appear that the photo on your website was posed, and reflects your views on construction codes and not nesseccarily the views or interest level of those participating in the class. By no means were those photos posed by me. It’s worse than that. Those are stock photos placed there to add humor to the article. So far everyone else got the joke. My first inclination is to accuse you of using stock photos to show your own bias against codes, and then further accuse you of thinking that all of us that work with codes are a bunch of obsessive/compulsive techie nerds who think its amusing to do things like develop procedures for evaluating gumbo, scotch and pancake flips, and who, when going under a bridge in a boat, are inclined to look up to study the understructure of the bridge. But since you admitted to me that you did use a stock photo I will admit to you that I am just giving you grief as my own form of sick codie humor. If you just try to read the codes like a book, they can be pretty boring. When they start to dictate which product can be used on a job – all of a sudden they become extremely interesting. And it is that level of interest that I rely on to make my living. BTW – I and other code nerds have participated in all the activities I mention in my first paragraph. Its also true that when we are staying in a hotel we not only know where the nearest exit stairs are, but the type of sprinkler head in our room and what its approximate response time is. Let’s party together, Julie. You sound like a lot of fun once the code book goes away. Have you received my calls? 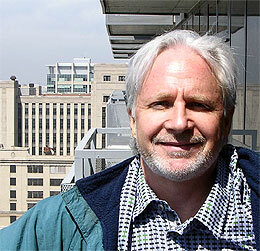 I want you to join me as a panelist at my presentation at the Buildex show in Chicago this June 14. The topic is “Building Envelope Checklist”. I, and I think my audience, would be interested in the question: “What code requirements exist for the ongoing inspection/maintenance of the building facade.” Want to come? The ISCT mold inspection network provides on-call mold testing services 7 days a week. Since 1997, they have earned a reputation for honesty, integrity, ethics and premium customer service. Because of this, they have become one of the largest mold inspection companies in the nation. With a network of mold inspector employees and affiliates located throughout the United States, they have the resources, manpower, equipment, and expertise to help you with your mold testing needs and get the job done – quickly and efficiently. You want to get quick results in order to get a plan of action ready, they can steer you in the right direction. So contact with them as soon as possible. Why does the on-line version of the Chicago Building Code, published by American Legal Publishers, exclude Section 24 on Glass and Glazing? There must be a G & G code. Where is it? You should get a more thorough explanation of this from DOB, but I can tell you that Amer Legal Publishing’s online version does have the glass and glazing language where it has always been – tho it’s hard to find in this online version, unless you know where to look. Searching for ‘safety glazing’ brought up the link to the text in 13-124-350 thru -370, which is in a chapter on general safety issues. When I searched for ’13-124′, the search came up empty, and the text shown for Div 33 is not as extensive as that in the print version. After having spent untold hours poring my very own copies of the 2000 and 2006 International Building Code and International Mechanical Codes and even the 1976 Southern Building Code as a part of my expert witness work, I have to admit that I am hooked and fascinated by these incredible bodies of communal professional work. These works protect the public in uncountable ways and I have developed a deep respect for them and their creators. Congratulations to all the smart, boring people who worked so hard to develop the codes and standards we use every day to create better lives. Dang, now I’m boring too. Some days at the lab are inclement to say the least. On my first trip I was underdressed and froze. This time I have layer upon layer and am generally ok with the wind, rain and cold bombarding me.